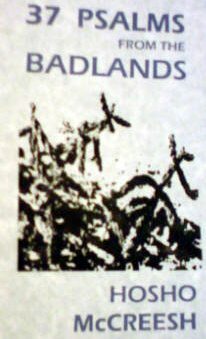 from 37 psalms from the Badlands. Hosho McCreesh hails from the deep, vast gypsum and caliche deserts of New Mexico. He maintains his sanity by writing poems and prose, and by smearing paint on canvas. McCreesh has published seven books and chapbooks including 37 Psalms From The Badlands (Kendra Steiner Press 2008) and Marching Unabashed Into The Weeping Sun… (Bottle of Smoke Press, 2008) His work has appeared widely in audio, print, and online. 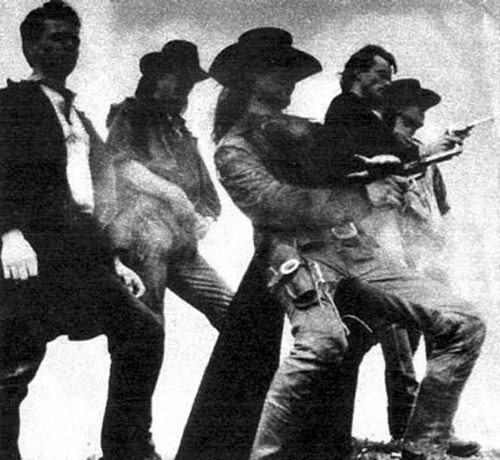 This entry was posted in Hosho McCreesh and tagged desperados, Gunslinger, Haiku, Hosho McCreesh, psalm by Monsieur K.. Bookmark the permalink.